Copyright © Siemens AG 2010. All rights reserved. described. Since deviations cannot be precluded entirely, we cannot guarantee full agreement. subsequent editions. Suggestions for improvement are welcomed. by patent grant or registration of a utility model or design, are reserved. working with processors and designing embedded systems and knowledge of Ethernet are required for this. connectors that are required for software tests (e.g., debugging, terminal outputs, etc.). Section 3 Memory Distribution of the EB 200. (ESD – Electrostatic Sensitive Devices). For module handling and installation, refer to /3/. A glossary containing definitions of important terms used in the manual is located following the appendices. complete title of the document can be obtained from the list of references at the end of the manual. the properties of the EB 200 evaluation board. It serves as a template for development of your own PROFINET IO device hardware. It supports development and testing of your own PROFINET IO device application software. It enables testing of your hardware on a supplementary board together with the EB 200, where applicable. 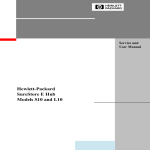 support package adapts the operating system to the hardware, see /3/. (UART1) of the ERTEC 200 in order to facilitate commissioning. also part of the development kit) can be plugged onto the EB200 as shown in the following picture. The boards are fully compatible to the prior version ES34, there are no limitations on functionality for PROFINET. Refer to documents /1/ and /2/ for a detailed function description of the ERTEC 200. In this manual, only the main components are described briefly and represented in a block diagram. M U X /A rb . described in Section 8. The following configuration settings are possible on the ERTEC 200.
interface are not possible in this mode. The trace port and the GPIO[44:32] are available to the user in this mode. Various boot modes on the EB 200 can be set by means of jumpers X10.1/2 to X10.7/8. GPIO ports for activating LEDs, etc. PCI interface is used only for the function test of the EB 200. The IRT switch functions are described in document /3/. The EB 200 has two interrupt controller units that can only be operated by the ARM946E-S. The IRQ/FIQ interrupt sources are listed in the tables below. above appear mirrored correspondingly often. ARM946E_S all have access to the memory due to the multimaster capability of the ERTEC 200.
that the required pins are switched to trace functionality. The ETM macro cell is described in documents /9/ and /10/. Note: The GPIO[44:32] are only available as Inputs on EB200, if alternative function 2 or 3 is selected. The SDRAM interface consists of 2 Infineon type HYP39S25616DT-7.5 blocks. The SDRAM interface consists of 2 Samsung type KF3216U6M-EF700000 blocks. (see description X11/5,6 in Section 2.1.2 ). (see description X10 in Section 2.1.3). with GPIO, and the SPI boot mode is selected with GPIO. The CPLD can be programmed with the JTAG interface X63 (for description, refer to Section 7.11). affects the following function units. If the EB 200 is operated with an active host, the connected host reset acts the same as the RESET_N signal. The effects of the host reset are the same as for the power-on reset. debugger to initiate and monitor the reset of the following function groups. The hardware reset remains active for at least 20 ms following power up. The EB 200 has a reset button that initiates a manual reset of the EB 200 without disconnecting the voltage supply. During PCI mode, the host reset controls the evaluation board directly. The PCI bus supplies the PCI interface of the EB 200 with 33 MHz. By default, a 25 MHz quartz crystal supplies the EB 200 via the ERTEC 200 pins CLKP_A and CLKP_B. at the ERTEC 200 pin CLKP_A. can be used by external PHYs. The following clock pulses are generated by an internal PLL. On the EB 200, a separate 1 MHz clock pulse is generated for the F-timer via a CPLD. The EB 200 Ethernet interface is implemented as a double electrical interface (Tx). This section describes the address space of the EB 200 from the standpoint of the four AHB masters. The table below shows the possible accesses of the master to the slaves. displayed on any aligned address area. Only the ARM946E-S can access both address areas. IRT accesses to the KRAM do not use the AHB bus. These accesses are implemented in the IRT switch controller. area is detected by an IRT-internal error signal and not by an AHB acknowledgement time-out error. addressing to ensure compatible memory expansion at a later date. Refer to document /2/ for a detailed description of the I/O registers for segments 4 to 8.
module with regulated voltage of 6 to 9 V/1.5 A.
and loads the user software with the debug tool. contained in the Flash. Debugging is then possible using the serial RS232 interface or the debug Ethernet port. Several functions of the module can be performed with the JTAG interface of the EB 200. The debugging or boundary scan selection is specified with the ERTEC 200 input TAP SEL. TAP_SEL = High  BS disable  Debugging selected. TAP_SEL = Low  BS enable  Boundary scan selected. In addition to debugging the EB 200, the integrated trace function of the ERTEC 200 can be used. The following settings are required on connector X10 and X11. The ETM9 module must be enabled CONFIG[6,5,2] = 101 b (see Section 2.1.2).  This separates the trace port from the remaining logic by means of bus switches D4 and D5. For a description of the ETM 9 Macro Cell, see /6/. For a description of Multi ICE, see /7/. For a description of the IEEE Standard Test and Boundary Scan, see /8/. need the DBGACK functionality you must change the signal connection on your EB200. characteristic. The PCI interface is used only for the function test of the EB 200.
means of a connector in the front panel. of a switch (downlink). The integrated magnetics support autocrossover – MDI/MDIX. The LAN cable from/to the evaluation boad must not be longer than 30m. The ERTEC 200 has one asynchronous serial interface. The required pins are multiplexed as alternative GPIO pins. interface is not needed, the interface can be deactivated using the jumper SYS_CONFIG = OFF. enable signal is also located on connector X20. memory to the EB 200. For connecting a debugger or ICE. JTAG interface for interfacing of PCI-FPGAs. The exact position of the two connectors is shown schematically in Section 7. Connector X10 is used to specify the boot modes and, in some cases, the configuration modes on the EB 200.
a description of system and configuration modes, refer to Section 2.1.2). The EB 200 is designed as a PC module with a 174 mm short PCI format. The EB 200 has a standard PC slot plate. The board is equipped with 4 holes onto which the supplied spacers are mounted. The table below presents the display elements and their functions. to control the LED activation.